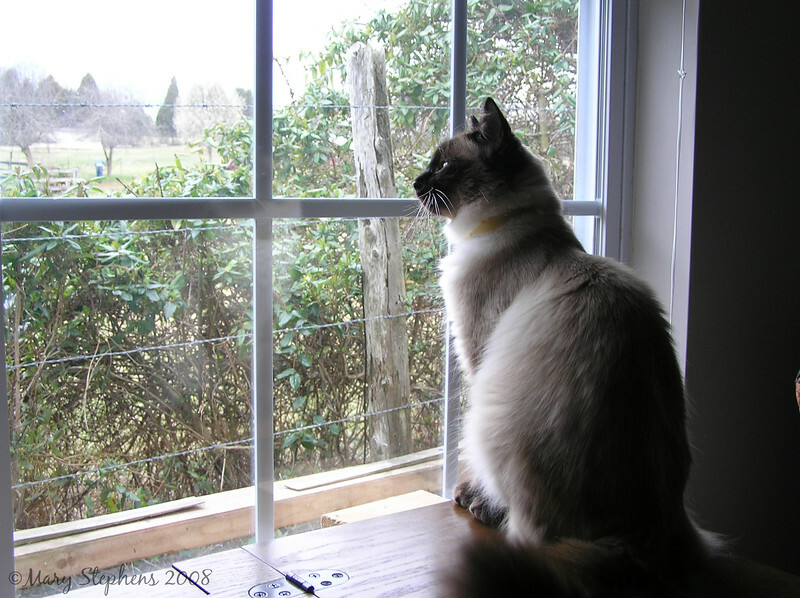 The photos here are of "Mischief," a cat my brother owned when my family lived in Tennessee. I. DOORS: Do not allow closed doors in any room. To get door opened, stand on hind legs and scratch with fore-paws while meowing pathetically. Once door is opened, it is not necessary to use it. After you have ordered an "outside" door opened, stand halfway in and halfway out and think about several things. This is particularly important during very cold or hot weather, rain, snow, or mosquito season. Swinging doors are to be avoided at all costs. II. CHAIRS AND RUGS: If you have to throw up, get to a chair quickly. If you cannot manage in time, get to an Oriental rug. If there is no Oriental rug, shag is good. When throwing up on the carpet, make sure you back up so that it is as long as the human's bare foot. III. BATHROOMS: Always accompany guests to the bathroom. It is not necessary to do anything -- just sit and stare. a) When supervising cooking, sit just behind the left heel of the cook. You cannot be seen and thereby stand a better chance of being stepped on and then picked up and comforted. Be sure to shriek piteously since humans love to feel guilty. c) For knitting projects or paperwork, lie on the work in the most appropriate manner so as to obscure as much of the work as possible, or at least the most important part. Pretend to doze, but every so often reach out and slap the pencil or knitting needles. The worker may try to distract you; ignore it. Remember, the aim is to hamper work. Embroidery and needlepoint projects make great hammocks in spite of what the humans may tell you. d) For people paying bills (monthly activity) or working on income taxes or Christmas cards (annual activity), keep in mind the aim -- to hamper! First, sit on the paper being worked on. When dislodged, watch sadly from the side of the table. When activity proceeds nicely, roll around on the papers, scattering them to the best of your ability. After being removed for the second time, push pens, pencils, and erasers off the table, one at a time. f) When your human is working on a computer try to walk in front of the screen as often as possible. Lie down on the keyboard if you can. g) Walk across jig saw puzzles when your feet are damp so as to track as many pieces away from the project as possible. Lie down and roll on it too. Locating the pieces gives the human needed exercise. h) If your human sews, hide behind the sewing machine and make grabs at the project as it comes towards you while she/he is sewing. 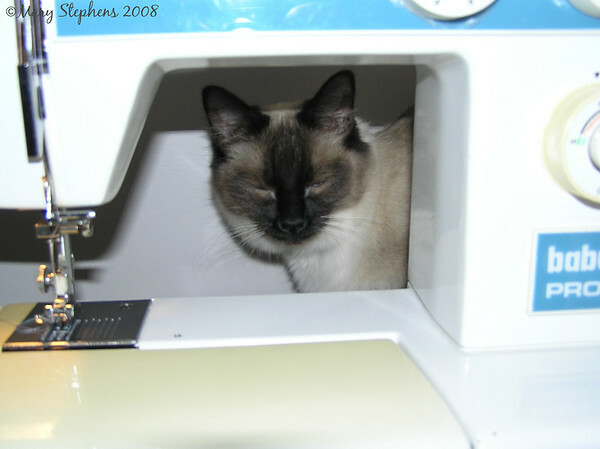 Also, find a nice soft spot in the sewing room on fabric that collects lint easily, then lie there as often as possible so as to cover it with as much cat hair as possible. Leave a fun hairball surprise in a place your human didn't think you could reach. i) Go outside and role in the dust or get your paws all muddy, then ask to come back inside. 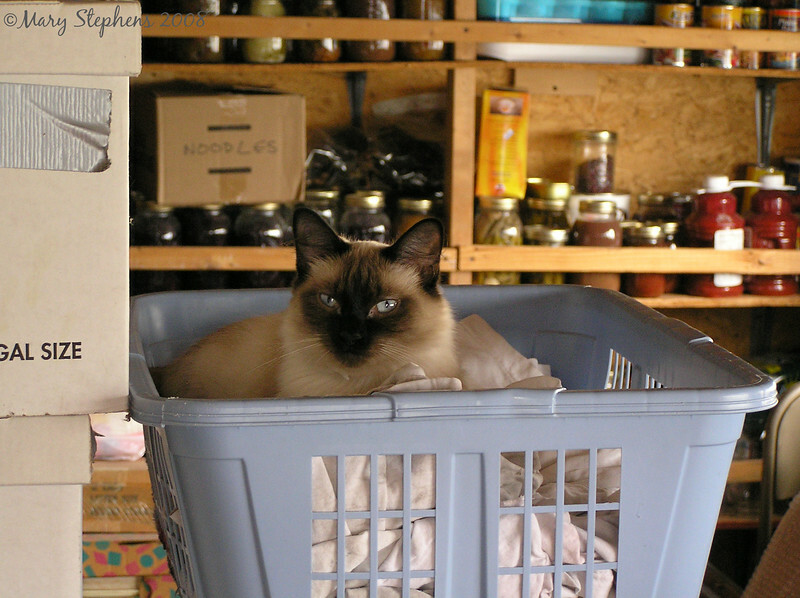 Go and lie in a laundry basket of clean clothes or walk across the kitchen counter. Best of all, sneak up between the sheets on the master bed. This makes extra work for your humans which they love. My cat knew all of those rules! But I can add one more. Always make sure that the mouse you bring in to the house is alive. Just put it down and let it run, making sure that the human has seen it. That pretty much sums up life with a cat(s)! !